Again, we might see a slight effect on the damping, but other than that, nothing. If there is an effect, it is very slight and cannot be measured in these tests. Hanging weight can have an effect on the stability of the system, lowering its center of gravity to prevent it from being knocked over. But simply in terms of the tripod’s resistance to vibrations, it will not make any significant difference. I don’t work for any photographic related company, so have no interest in spreading false information. 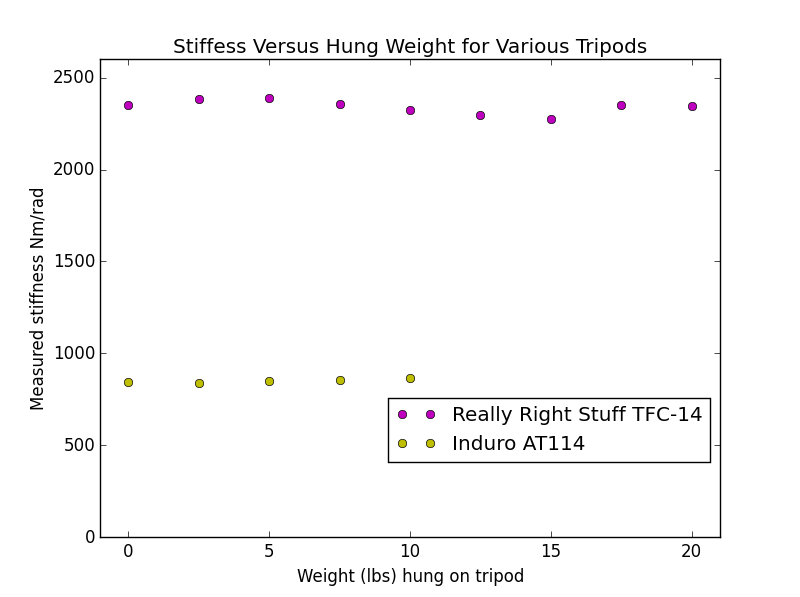 As stated in the article, this is not the optimal way to hang weight, just the easiest to test in a repeatable fashion. The weight did not swing at all during the test, as it was in a controlled environment. Hanging weight via a bungee cord to a weight on the ground produces the same result.